Rihanna’s home in Hollywood Hills was searched by the police after a suspected burglary. According to sources, her alarm went off on Tuesday, 25th of September. On reaching the scene, detectives conducted a thorough search of the singer’s home and found evidence that the house had in fact been broken into. Though the police reached in a short time span, they found no one in the house. However, neighbors gave descriptions of the suspected burglars that they saw exiting the Umbrella hitmaker’s home, and then flee in a silver vehicle. Rihanna, herself was not at home at the time of the break in and it is yet to be confirmed whether anything was taken or not. Last weekend, the popstar was snapped in London and is scheduled to appear at her first Fenty Beauty Charity Seminar in Dubai on coming Saturday. This is not the first time that the 30-year old has been victimized. 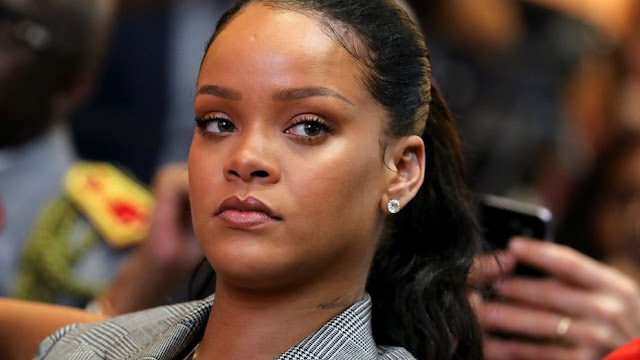 In the May of 2018, Rihanna’s home was broken into by a man who squatted there for around 12 hours. Even then at the time of the home invasion, the star was not at home as she was attending the Met Gala in New York. The squatter was later identified as 26-year old Eduardo Leon who confessed that he had disabled the security system at the hitmaker’s home and was waiting for her to return. Charges were filed by Rihanna for vandalism, felony stalking and burglary against Eduardo. Sometime last month, the security alarm at Rihanna’s home was also tripped. Though the incident was ruled as a false alarm, there is no way to be sure whether those were the same burglars who broke into the singer’s home on this Tuesday. Perhaps the police’s immediate descent to her home was because of the previous stalking incident that Rihanna was subjected to. In recent months, it is not only Rihanna whose home has been broken into but other celebrities such as Bella Thorne, French Montana, Wiz Khalifa and Christina Milian among several others have also been victimized by the ongoing attempted robberies in their homes in the city of Los Angeles.